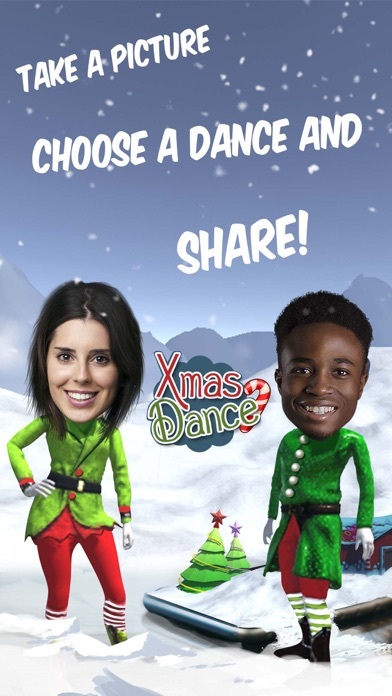 Download now and turn yourself into a dancing male or female elf, Santa Claus and Mrs. Claus for your Christmas and New Year’s Eve celebrations. 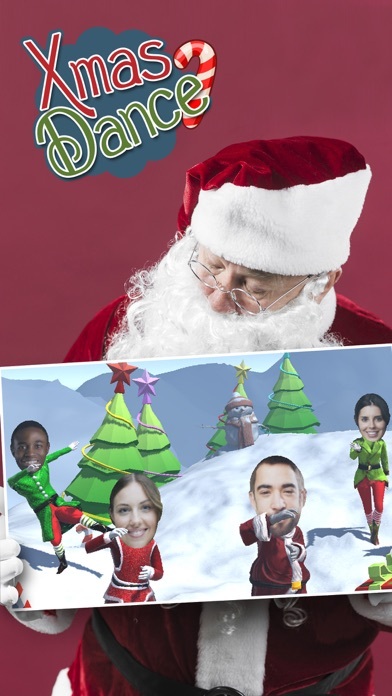 This annual holiday season tradition will allow you to become the dancing star in a personalized Christmas video. You can dance alone, you can dance with your friends or you can dance with your girlfriend or boyfriend. Upload photos of yours or friends, family and more. 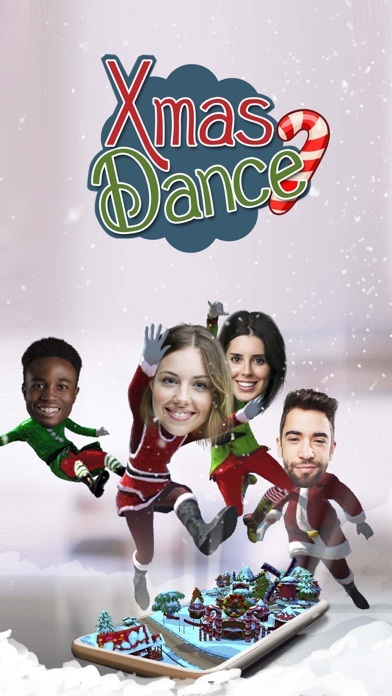 Select the best dance theme and get ready to do the traditional Christmas dance. Bring joy and live the Christmas spirit. Whatever kind of dancer you are, you can probably find a funny dance move to suit your New Year celebration. 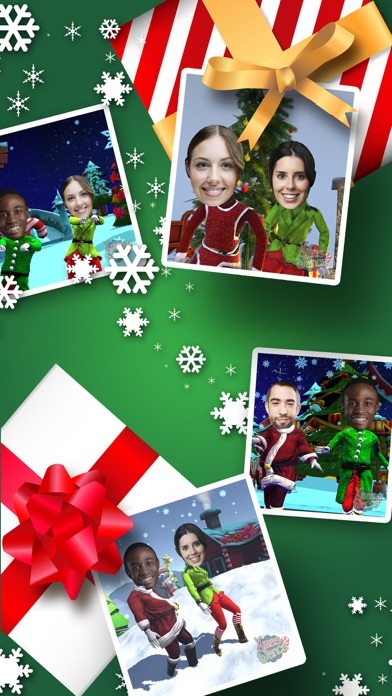 Place a photo of your face onto our 3D Christmas characters, check the list of the happy dances in the app, create your custom Christmas video and enjoy your Christmas celebrations with your family and friends! It is time to add your own dance moves to your Christmas and New Year celebrations. - Upload a photo of your face. - Place it onto the 3D Xmas Character. - Discover various funny dances. - Select between four different original backgrounds. - Use real-time camera to perform your dance moves wherever you want. - Record your character dancing and share it.